Additionally there would be an app on my phone and a box in my garage, but really all I had to do was charge my car and drive it. BMW would monitor the charging remotely and occasionally pause the charging, but for no more than an hour, and I could use the app to “opt out” any time I thought I might need the electrons. My participation in this study would be for 18 months and would help BMW and its partner PG&E learn how electric vehicles can stabilize the grid. Since I did the vast majority of my charging while I slept, this seemed low to no risk. Eighteen months later I can unequivocally state that participation was transparent, hassle-free and mind-numbingly dull to the point that I mostly forgot about it. The only reminders were occasionally meeting other participants over complimentary sandwiches during a group interview. Just the way you would want it. One criticism about Electric Vehicles is that they will cause grid-instability. All those electric cars plugging in at once on an antiquated grid! Pandemonium will ensue, dogs and cats will be living together and civilization will plunge into darkness. Except that’s not even remotely true. EVs are a great way to stabilize the grid; it isn’t even difficult. It can (and has been) done on grid scale with 2015 technology. During this study I was one of 100 participants; when I’m one of a million participants it will truly be evolutionary. The purpose of this study, a joint effort between PG&E and BMW, was to demonstrate what a lot of smart people believed but had never proven. Before I explain what that is, it will be instructive to explain why it is important. One of the most fundamental laws of physics states that energy can be neither created nor destroyed; it can only be converted from one form to another. I wouldn’t be surprised if every engineer at California Independent System Operator (CAISO) has to get this tattooed on the inside of their eyelids as a condition of employment. That’s because it’s their job to ensure just the right number of electrons get pumped onto the grid as get consumed. In real-time. If they screw it up the grid goes unstable. If your eyes are already glossing over, let me give you the CliffsNotes version of Demand Response in one chart. Figure 1. 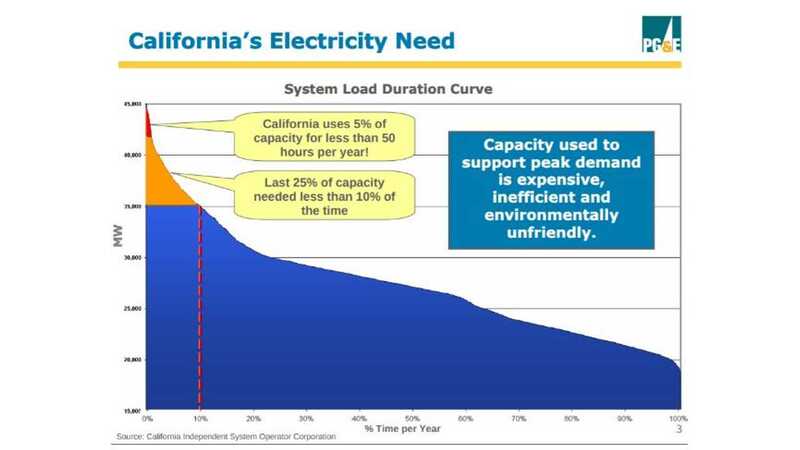 California uses 5% of its grid capacity for only 50 hours per year. Courtesy PG&E. An airline executive once said you don’t build an airline based on demand over the Thanksgiving holiday. Essentially the idea of Demand Response is to flatten the curve shown in Figure 1 by giving grid operators the ability to turn off loads. Going back to the airline analogy, think of Demand Response as overbooking; instead of asking for volunteers to be compensated for giving up their seats, the electric utility is asking for volunteers to be compensated for giving up charging their car (or running the AC and so forth). Adding to the complication, not only does CAISO have to cope with cars plugging in but they also have to contend with legions of renewable energy sources that wax or wane depending on, of all things, the weather! As a bona fide rocket scientist, the engineers who have to manage this have nothing but my respect. 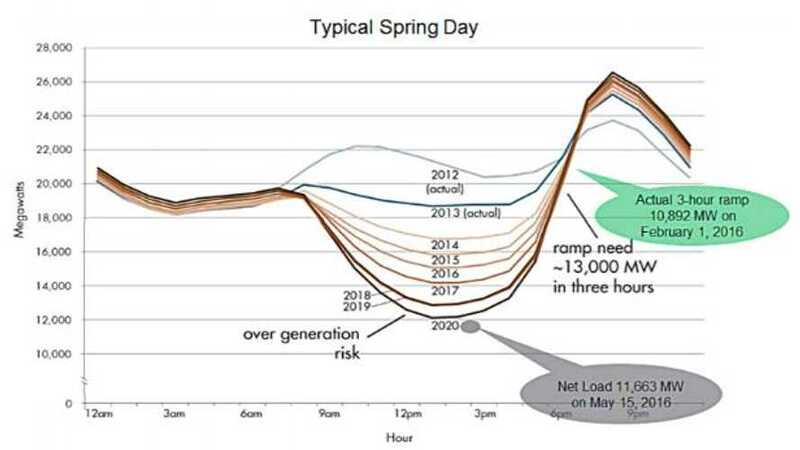 This phenomenon has been explained by the infamous “duck curve” (Figure 2): a juxtaposition of a day’s energy demand with generation from renewable sources superimposed. This net is the energy generation required by traditional energy sources (large hydro and what is known as thermal being two of the most common). Anticipating ever-increasing renewables coming online and extrapolating out a few years, the family of curves is said to look like the profile of a duck. Figure 2 -- The Duck Curve is the result of actual power demand with renewable sources superimposed. Courtesy of CAISO. Just as the sun is setting and significant solar production is winding down for the day, people are rushing home, plugging in their cars, cooking dinner and turning on the air conditioning. In simple terms, renewable production is going down just as demand is starting to peak in the late afternoon and early evening, and a lot of power needs to come online, sometimes too fast to bring on new energy production. Figure 2 highlights a case from February 2016 of an almost 11 GW increase over just 3 hours. There have been studies about EVs supplying energy to the grid (known as Vehicle to Grid or V2G). That’s not what we are talking about here. While V2G could be an important technology at some point in the future, it has a set of logistical headaches to deal with that frankly may never get worked out. Studies have shown, however, that giving control to grid operators over EV charging is 80% as effective as V2G but with far lower costs and fewer logistical headaches as acknowledged by Michael Liebreich in his address to the Bloomberg New Energy Finance Summit. Demand Response programs are nothing new. Hydro-Quebec has been using them for decades giving financial incentives to residents to allow the utility to control their heating and air conditioning during periods when the grid is struggling to meet demand. Many other utilities participate in various other residential Demand Response programs. 1- EVs create an interesting opportunity because the loads are higher than anything else in the average home. Multiplied by many homes, EVs gives the utility a very powerful tool at their disposal to curb peak consumption at critical times. 2- EVs create an interesting risk because consumers are not going to be happy if they go out to their cars expecting to be able to go about their business only to find that the utility has delayed charging on their vehicle. 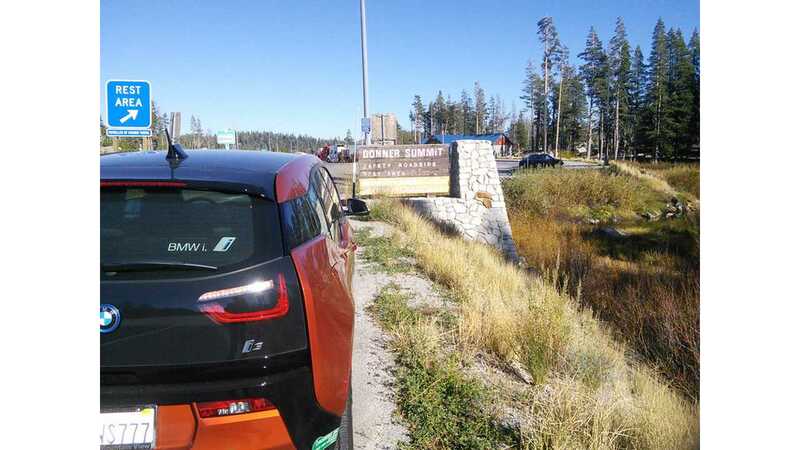 3- BMW gave PG&E a powerful tool with the i3 because of the i3’s real-time telematics and the ability to pause and restore a charge session remotely. 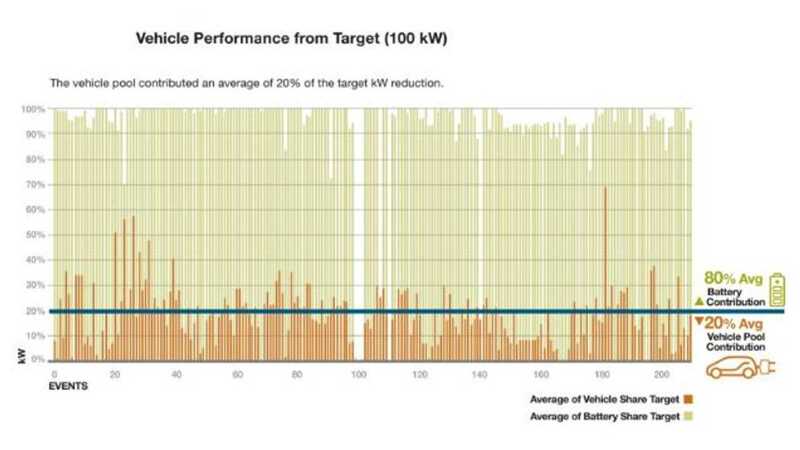 4- BMW also gave PG&E a powerful tool because they guaranteed 100 kW of power reduction at PG&E’s demand. 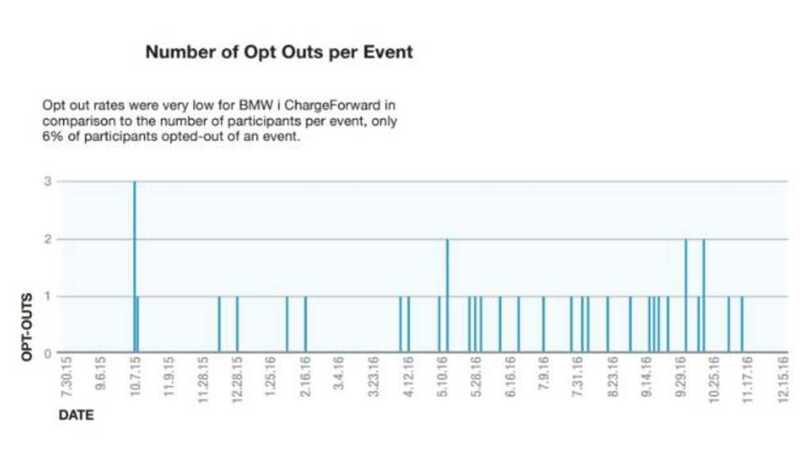 5- Last but not least, BMW gave the ability for consumers to opt out of any Demand Response event, giving i3 owners the peace of mind they needed to participate in meaningful large numbers. The BMW-PG&E Demand Response program, formally known as the BMW i ChargeForward program, consists of two major components. The first is 225 kWh of battery storage at BMW’s Mountain View Technology Center, capable of delivering 100 kW of power back to the grid on demand. This battery storage is made of BMW Group 2nd Life batteries from the MINI-E program that were repurposed specifically for the BMW i ChargeForward program. The second major component is nearly one hundred customer-owned BMW i3s in the San Francisco Bay Area. The real-world complication that this added was drivers may or may not be charging their cars when PG&E has a Demand Response, and those drivers may or may not have opted out of a Demand Response for that day. But this was believed to be manageable and the program ultimately verified it was manageable. After 18 months of the BMW i ChargeForward program, BMW and PG&E have now published an extensive report describing the results and also characterizing the drivers who participated. You can read PG&E’s blog entry summarizing this study here and obtain a full copy of their report here. What Was It Like to Participate in the BMW i ChargeForward Program? What was Learned? As previously mentioned, BMW gathered the participants together for group interviews several times over the 18 months of Phase One. There were several participants whom I would classify as “like me,” meaning nerdy to the point of unreasonable giddiness about numbers. But there were also plenty of people who just drove their cars neither knowing nor caring about the technology that made them work.  The program was designed to let people go about their business without worry or overhead. It excelled at this. During the group interviews, most admitted to forgetting that BMW may stop the charge on their car. It was just never an issue. BMW gave us an app on our phones so we could see the Demand Response and opt out if we were charging. My experience was that initially I checked the app daily to see if there was an active Demand Response. But eventually I got bored and went weeks without peeking at the app. Most in the program went the entire 18-month duration of the program without ever being aware their car’s charging was being remotely managed. And yet the data clearly shows that the program was a raging success. Over the 18 months of the study there were 209 Demand Response events. Putting that into context, PG&E’s SmartRate residential Demand Response program is capped at 15 per year. PG&E is giddy at the prospect of broadening the program. Figure 3 - The target for each Demand Response event was 100 kW back to the grid. This figure shows that on average, 20% came from reduced load by way of delayed charging and 80% came from BMW second life batteries. Courtesy PG&E. Each Demand Response event was to deliver 100 kW back to the grid. Figure 3 shows that on average, 80% of this came from BMW’s second life battery storage and the remainder came from delayed charging of the 100 i3s in the test. As one could imagine, the most participation in the program came from Demand Response events that occurred in the wee hours of the morning when most cars were actually charging. 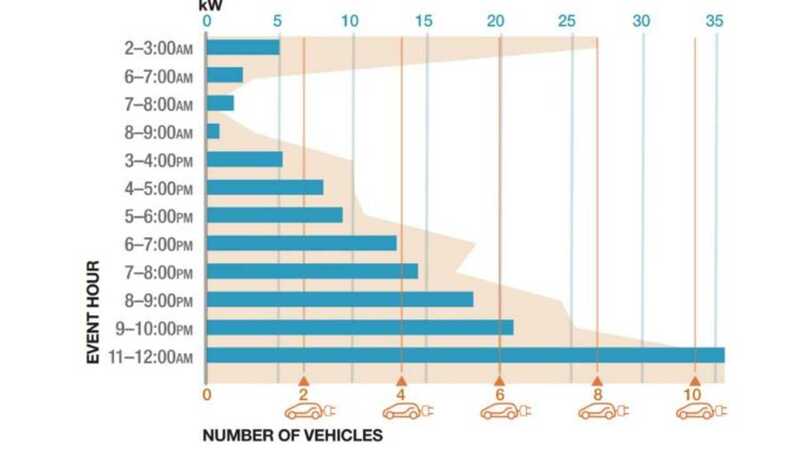 Figure 4 shows both the average number of cars participating as well as the power contributed, distributed by hour of day for the events. 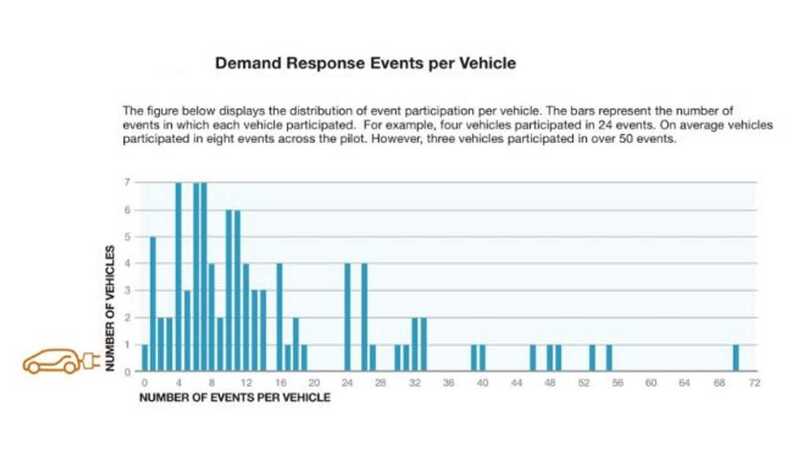 Figure 4 - Participation in Demand Response events varied greatly depending on the time of day. Courtesy PG&E. Most importantly, the program demonstrated that opt out rates were astonishingly low, as shown in Figure 5. Figure 5 - Courtesy PG&E. The program enlisted ~100 i3 drivers from around the Bay Area, but the number of vehicles participating in any given event was far fewer, as shown in Figure 6. 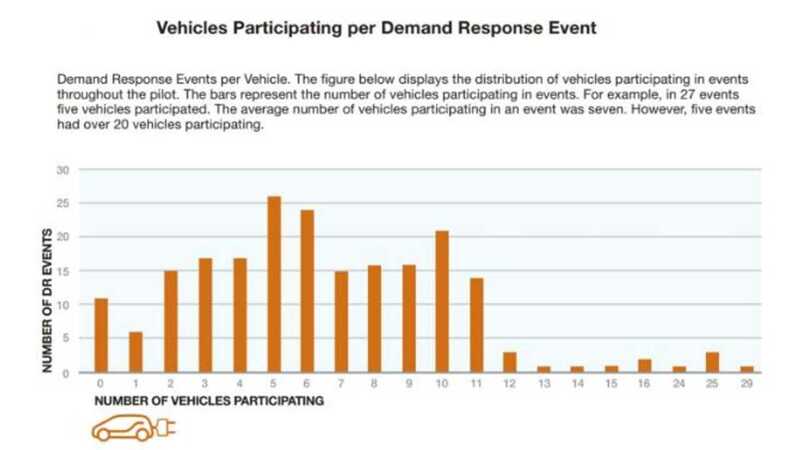 Conversely, on average the typical vehicle participated in only 8 out of the 209 Demand Response events with one vehicle never participating and another participating in 70, as shown in Figure 7. Figure 6 - Courtesy PG&E. Figure 7 - Courtesy PG&E. The full report gives far more detail than can be summarized here. The BMW i ChargeForward program was so successful that Phase 2, now underway, has been expanded to 250 vehicles and includes not only the i3, but all BMW plug-in models. In Phase 1 of the program, charging was only monitored and delayed if the vehicle was at the owner's home. It was assumed if the car was charging away from home that it was doing so out of necessity. Phase 2 of the program extends to all charging whether at home or in public, including workplace charging, and still gives owners the option to opt out. During the final group interview it was made clear that PG&E wanted to incentivize participants to charge during daytime hours. One glance at the Duck Curve and it is easy to see why. Any utility is hugely incentivized to get EVs to charge during periods of large solar production and to stop charging as that production begins to wane for the day. Phase 2 is designed to learn the behaviors of drivers while they are charging away from home, perhaps with the hope of discovering how to incentive drivers to charge during the day. During my “exit interview” from Phase 1 I made it pretty clear that access to a plug during the day was what was required, and no driver incentive was likely to change that. 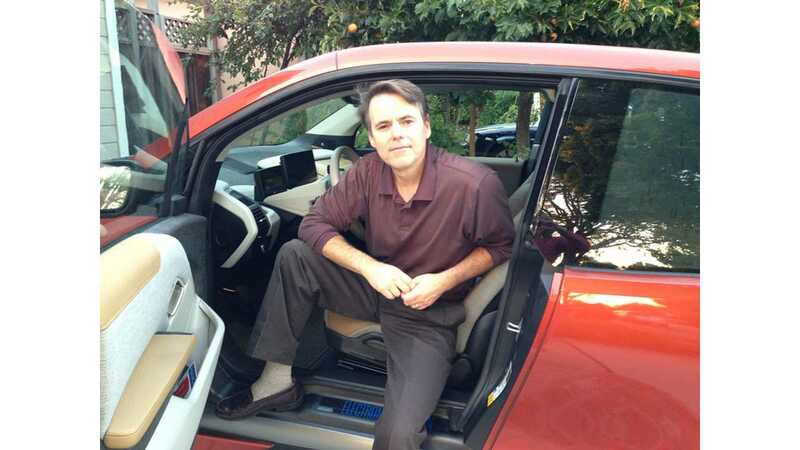 As an EV enthusiast I was excited to participate in the BMW i ChargeForward program, but even more importantly, I was satisfied knowing that BMW and PG&E were developing ways to make EVs the solution instead of castigating them as the problem.